All of us are spiritual beings having a human experience, and even when we’re here on earth, we are never alone. Spirit guides are present throughout our lives and it’s important to look out for signs of their presence. In general, a spirit guide is a divine being originating from the highest, loving energy (Source, God etc.) that comes to help lead us through life and nudge us down the right path. If you’ve ever felt like someone is watching you, or you’re being guided or protected, know that you are. Have you ever seen a sudden blue flash of light that seemingly came from nowhere? A blue flash of light is one of the most common signs that a spirit guide is in your presence. Please note, this is not going to be an expected blue flash of light such as a lightning strike. It is going to appear randomly in places you wouldn’t expect for such a flash to occur. In fact, you may even be taken aback by it at first. Many people go through life ignoring these flashes but by being aware of them, you’ll be able to acknowledge when your spirit guides are trying to get your attention. Are you starting to hear a ringing in your ears all the time? Is the ringing becoming more and more noticeable with each passing day? This is a clear sign that you have a spirit guide around you and it’s time to pay attention! Of course, this ringing is not going to be consistent and it will only come during specific moments. For example, you’ll probably hear it when you’re deep in thought or have a serious change in emotion. As you go through your day, make note of when you start to hear the ringing. What are you doing? Where are you? What thoughts are you having? How do you feel? Patterns are a big thing in the world of spirits and the same applies here. If you’re noticing sets of three all around you, pay attention. These sets will be organized, and come about at odd times of the day. You’ll be able to notice them in detail as long as you keep your eyes open. These patterns are going to be all around you! Hearing a specific name throughout the course of your life is a big sign of a spirit guide. This name might not stand out at first and you might gloss over it, however, over time you’ll notice it popping up more and more. This is often a sign that a spirit guide is around you, and the name that you’ve been seeing is actually the name of the spiritual guide. This name isn’t something out of the ordinary but it’s going to be something you’re able to point out as long as you’re paying attention. This name can be found in anything such as the people around you, or someone shouting it out nearby, or in a TV show. It will continually pop up and you’ll start to notice the pattern as long as you know what to look out for. Are you having intense dreams that are easy to remember? Do you have visions that appear only when you are meditating? A lot of people pinpoint these realities and it has to do with the spirit guide. The reason spirit guides often communicate with us through dreams is because that’s when we’re most receptive to their messages. When we dream, we go deep into our subconscious minds and are able to reconnect with our spiritual nature. Over time, you can use these dreams and visions and piece them together to extract a message from your guides. Keep a notebook by your bed, and write down any repeating patterns, visions or dreams you’re having. What are your guides trying to tell you? Pay attention — you’re being guided! All of us have spirit guides, and by using these 5 signs you’ll be able to know when yours are communicating with you. P.s. 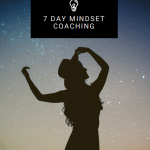 if you enjoyed this piece, be sure to check out 7 life-changing ways you can connect with your spirit guides. About the Author: Alissa Monroe is a full-time stay at home mom and a part-time blogger. When she’s not blogging about the spiritual world or psychics, she enjoys spending time with family and hiking in the beautiful San Diego mountains. You can check out her website here. Hmmm…. Not sure here. I don’t think I’ve seen much of this. Thanks for that, I’ll try and see how I can expand how I process my reality. I don’t know really how to start… I guess I’ll wing it. This sounds like this name is your point of attraction. 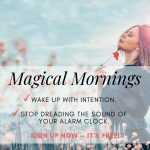 Have you heard of the law of attraction? It’s an energetic law that states what we think about (and feel) we attract into our lives. In this case, because you desire this name, it’s likely you’re attracting it into your experience. how can you pay attention? how do you reply? how would you know what it want to say? 1.) You pay attention by being present in your life, and this moment. Without presence, it’s hard to notice when your guides are communicating to you because your mind is always wandering into the past/future. If you’d like to get more present in life, I recommend doing quick daily meditations. 3.) Your higher self has the answers you’re seeking, and through your intuition, you will know what to do and say. To get in touch with this part of yourself, incorporate daily gratitude into your routine, meditate and believe in yourself. You are more powerful than you know and this communication is available to everyone equally. The only separating factor is our belief and willingness to be open.